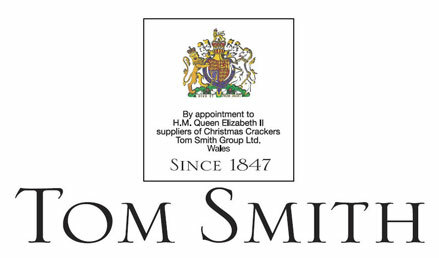 1906: Tom Smith was granted their first Royal Warrant by the then Prince of Wales which entitled them in 1909 to become members of the Royal Warrant Holders Association. 1910: In December, the reigning monarch, King George V granted Tom Smith his Warrant as suppliers of Christmas Crackers. 1911: On March 23rd, Tom Smith was granted Queen Mary's Royal Warrant as manufacturers of Christmas Crackers. This Warrant was renewed in 1938 and held by Tom Smith until her death in 1953. 1964: On January 1st, the Queen Elizabeth II Warrant was granted and this is still held today. 1975: On March 10th, the Queen Elizabeth the Queen Mother Warrant was issued and was held by Tom Smith until her death in 2002. 1987: On January 1st, the Prince of Wales Warrant was granted. Tom Smith still proudly holds the honor of producing special crackers each year for the Royal Household although designs and contents are a closely guarded secret.